Second week of search and travel; the Amazone. One week of jungle…what shall I say! It was quite an experience, wow! Of course it is hot. It is humid. And this worried us a bit beforehand; would we be able to handle this? How dangerous is the jungle really, if we would walk through it? With no malaria/dengue or zika precautions, would we be ok? Or would we be stung by mosquitos and constantly worry if the sting carried a virus or parasite? We booked an Airbnb in Tena, a real ‘town in the jungle’. It was an apartment, rented out by a German guy who married an Ecuadorian woman. They lived in Germany and the ‘family in law’ looked after the rental. We have an idea/opinion about German people; that they are thorough and clean. That they arrange things very well. Alas, that was not totally the case here. With Airbnb you never know what you get, but because it is affordable we still think it is a good option. So it was not as clean and ‘well arranged’ as we expected. We had to go through a little ‘village’ of all the relatives who lived around the back there, when we went from the car to the apartment or back. It was quite a mess there and the people mostly did not feel very welcoming. It felt as though they preferred the Airbnb to be stopped and didn’t like strangers to come through their private grounds and park the car in their parking spaces. There were fan’s in every bedroom, which was a great plus. And to my big surprise and amazement; all the windows were open when we arrived in the evening and almost no insects came in (some moths, ok…)! This is, to date, my biggest surprise in the Amazone: I have only seen two or three mosquito’s in total. Of course there are insects, dangerous ones even, but the only ones stinging us are the little, miserable –but harmless- ‘no-see-ums’. 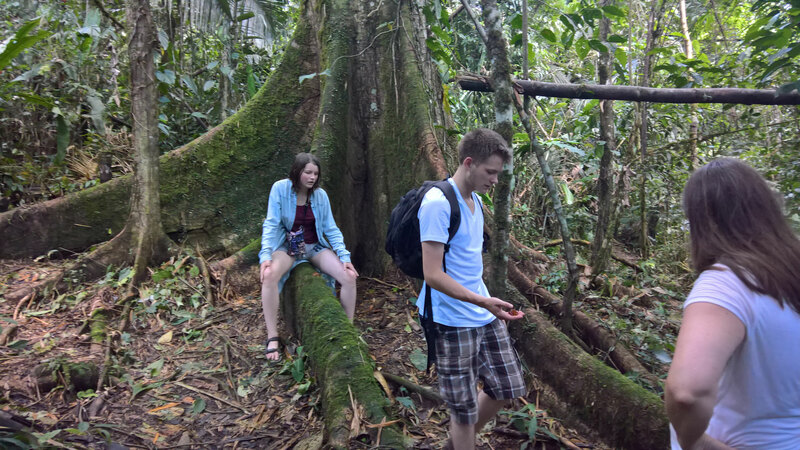 Since they loved me in Yangana, they also love me in the jungle, sadly. These ones left smaller bites and less itchy, but when I had about a hundred it did start to annoy me. 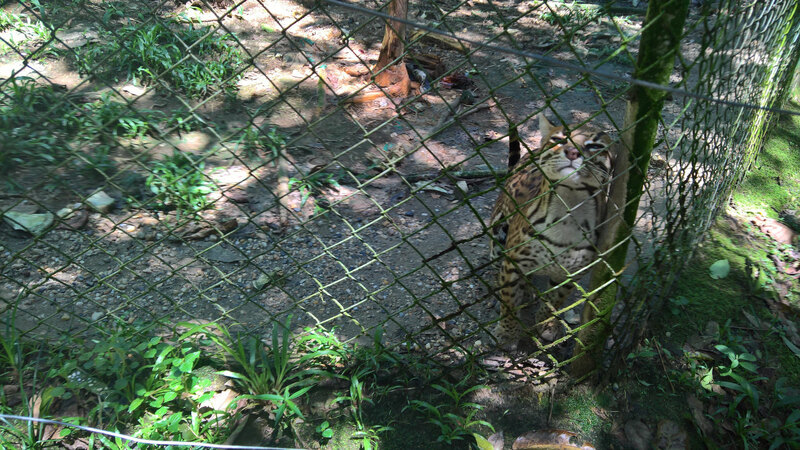 On the first day after arrival we went to an animal rescue centre (Amazoonica). The owners started this up many years ago. They bought 170 hectares of jungle and made this a ‘protected jungle’, not allowed to be hunted in. They built some large cages. Most of the recued animals are wild animals that were being held as pets. Their job is to help them adjust to the wild again. Since there are no clear road directions (the idea of the area is; get a guide or a cabdriver for everything you want to do here) to be found anywhere (internet, folders, asking people), it was a bit of an adventure to get there. We knew we had to get to Puerto Barantilla and get a canoe there. We should not overpay the canoe owner according to internet sources (they easily ask foreigners ridiculous prices), so 3 dollars per person, one way, should be sufficient. And these were all the directions I could find. It was a hot, sunny day. The temperature was way above 30 and also the humidy was very high. 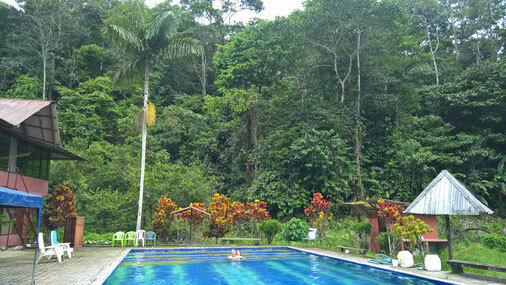 The further we drove, the more we were struck by the beauty of the jungle. It opened my heart to see so much diversity and so much lush and variable shades of green-ness. We found the Puerto and canoe owner, who brought us to the Amazoonico. We received a tour from a French volunteer. She showed us lots of animals (monkeys, cacatoos, parrots, tucans, kaymans, ocelots, etc) and told us their stories. 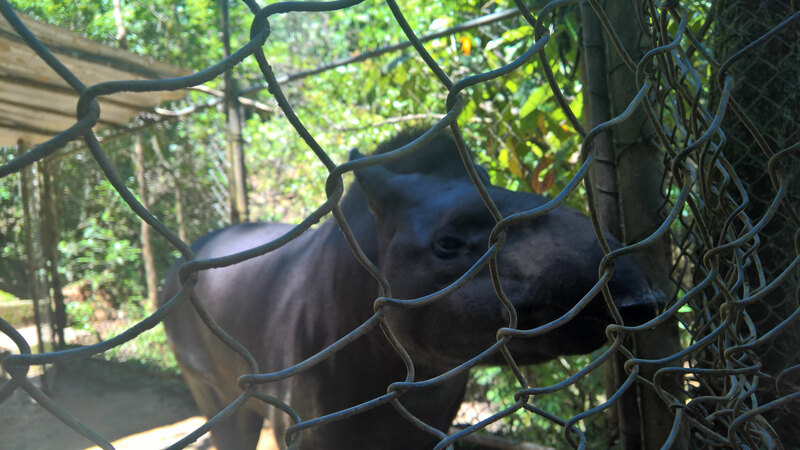 The tapir was probably the most ‘alien’ one to us, but I mostly loved the cat-like ocelots. The heat was almost too much for us. What happens is; you sweat until you are soaked through and through. So I had to let go of being soaked, sticky and smelly and smelling the others around me. It became one big, strong smell; animals mixed with human sweat, in the heat. On the way back it was around 2 pm and we were hungry. In the middle of nowhere we saw a restaurant/hotel. We decided to look at the prices and see if it was do-able to eat there. But when I saw the huge swimming pool, all I could think of was diving in. Food was totally off my mind. The owner was taken by surprise. She said she had sent the cook home, because there were no guests at the moment and she didn’t have much food left. But she could make some, from what she had, she said. It would take an hour though, so maybe we could pass the time in the pool? Well, I didn’t take much more encouragement. I jumped in, in bra and underwear and started feeling human again in there. Eric jumped in in his underwear too, Mar in het singlet and underwear and finally Beer got over himself and jumped in, in his shorts and shirt. Of course Lem did not; he thought we went crazy at the sight of water and found himself to be much more ‘normal’ (hahaha), though hot and bothered (but yeah; he was the unwilling victim and being dragged into this ridiculous climate by idiots, anyway). We ate a great meal and got into a conversation with the owner (an Austrian woman and her Ecuadorian husband). 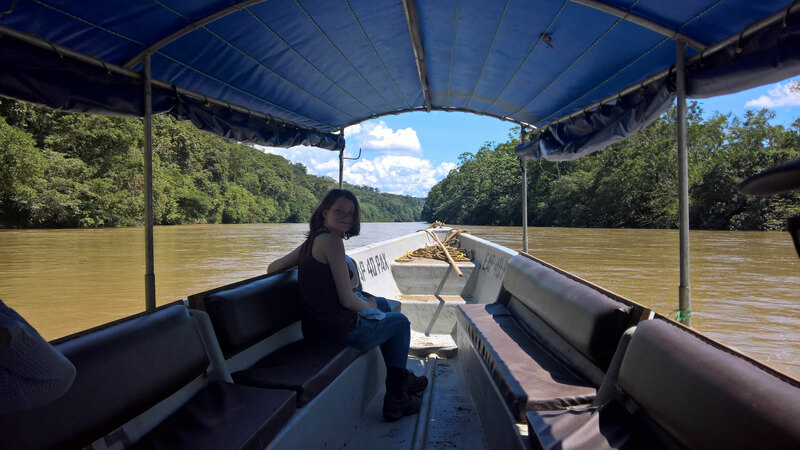 She told us about the jungle tours, the cacao making tour, the Ayawashka ceremony, etc. All very low priced. She offered us all this and full accommodation and meals for such a low price, we couldn’t say no. So even though we were supposed to be in the Airbnb for the whole week, we decided to spend our last 3 days in the jungle, in this hotel and do some of the tours. On Wednesday, which was the day after this, it was raining. We decided to visit a cave and maybe after this, a butterfly centre. But nothing worked on this day: We drove in the wrong direction, our navigation system was overheated (or something?) and refused to work. And we argued along the way, we were tired and angry about everything. So, of course, when we arrived at the cave, finally at 12 am, it just closed for lunch. We went back to the Airbnb and decided that we didn’t really care about caves. We had seen enough caves in the past. 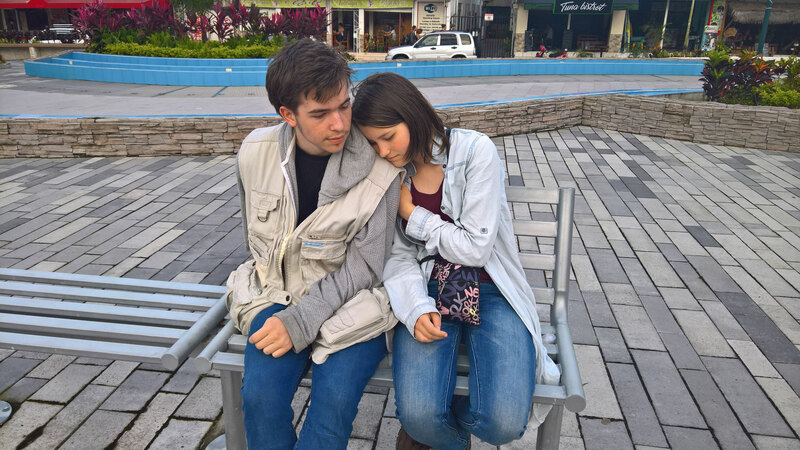 We tried to get into a better mood when we got home, but it remained a somewhat heavy day. On Thursday we decided to start slow. It was raining. We sat together in the morning and spontaneously a conversation started up: Mar asked Eric about his grandmother. She was curious about her own ancestral background. After Eric’s family tales, she asked about mine. Lem and Beer were also engaged in all the information that passed across the table. And for Eric and me it gave some insights, placing it all in chronological order like that. Why one person did what he or she did and what that meant for the other people around that person. And how Eric and my families had a lot of similarities that we never noticed. A very interesting thing to do. When we were done talking and playing games, we voted on what activity to do on that day. 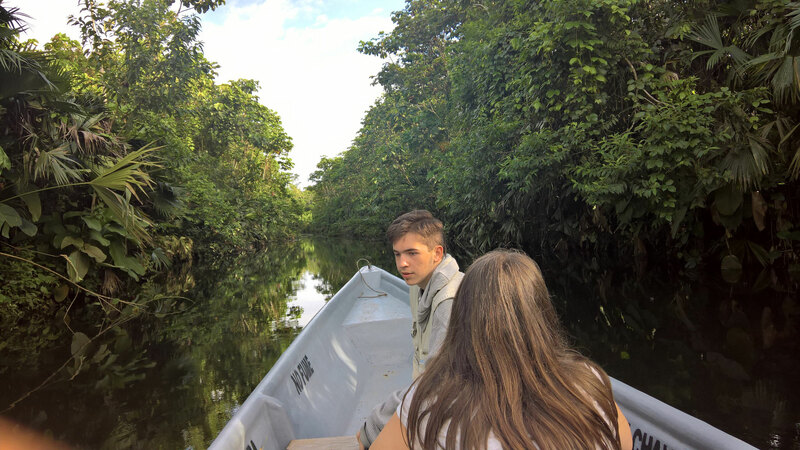 We decided on going canoeing, later in the afternoon, around a nature reserve. It was a quiet and peaceful activity. The guide, a man who had bought this land and let it go wild again, tried to help us see all the animals that lived there now. A group of squirrel monkeys and a group of spider monkeys. A very, very big fish in the water ( 2mtrs long) and some beautiful birds (hoatzin). It was a tranquil, enjoyable day in total. Even more in awe of the beauty of this land. Friday was the day we were going to the hotel, for our last three days. There was one more activity we really wanted to do on our own, before we got there. 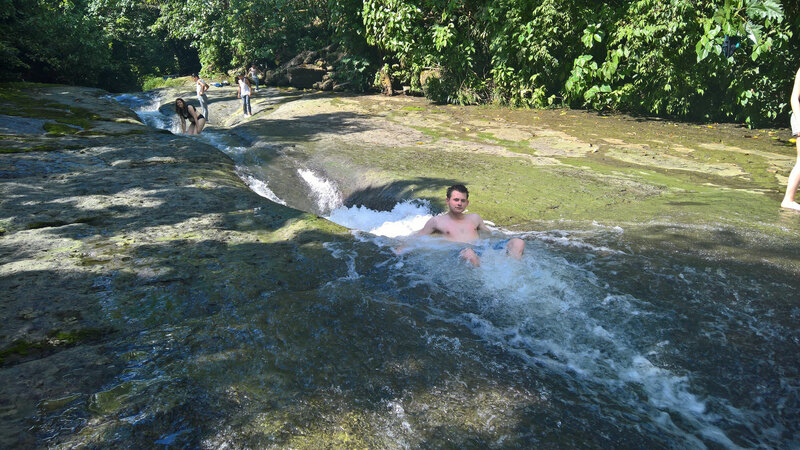 This had to do with walking towards a waterfall and naturally formed water slides, to swim in. The weather was sunny and hot again, of course. Heat wise it was a repeat experience to the Monday experience. We were exhausted and soaking wet with sweat, within minutes. 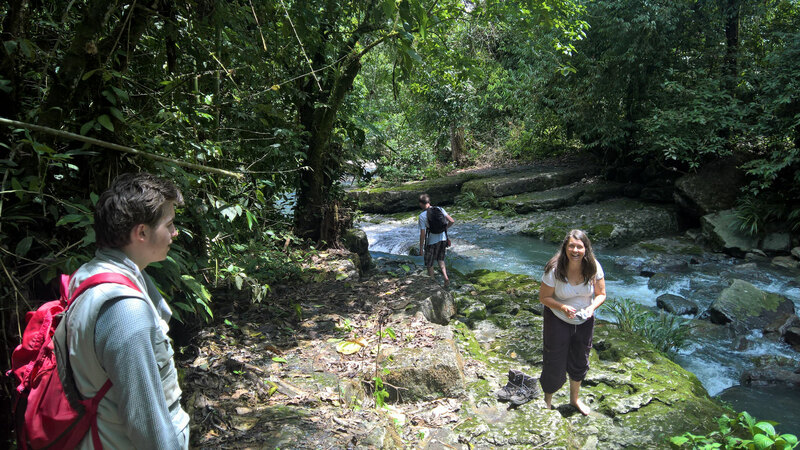 The idea was to find the waterfall and swim there, but after 45 minutes of slipping and stumbling over slick, algae and moss covered stones and trodding through mudpools in the jungle, we decided that we would try to go back and just forget about seeing the waterfall. We would simply dive into any water we could find, further down, coming from the fall. Beer and Lem however had the guts and the stamina to continue. They eventually found the waterfall, made some pictures and came back down to find us lying in the naturally formed slides. There were local kids there, who went in, fully clothed and with shoes on, to really slide through the slides. This was a bit too painful for us. The current was very strong and the rocks very hard, but we had fun anyway, letting the strong current from the falls wash over us. 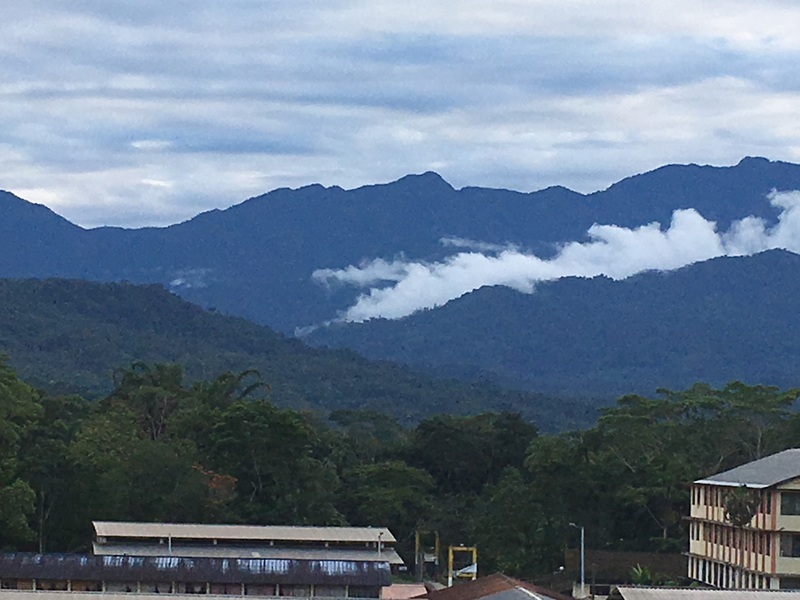 The walk had thoroughly exhausted me, so when the hotel owner later on proposed to do a nocturnal tour in the jungle that evening, I wanted to say ‘no’. And I could see that only Beer had the fitness to say ‘yes’ to this. The rest of us wanted to just lie in bed, in an air-conditioned room. But because there was no rain and it might be our last chance, we got over ourselves and went on this trip. Glad we did this. 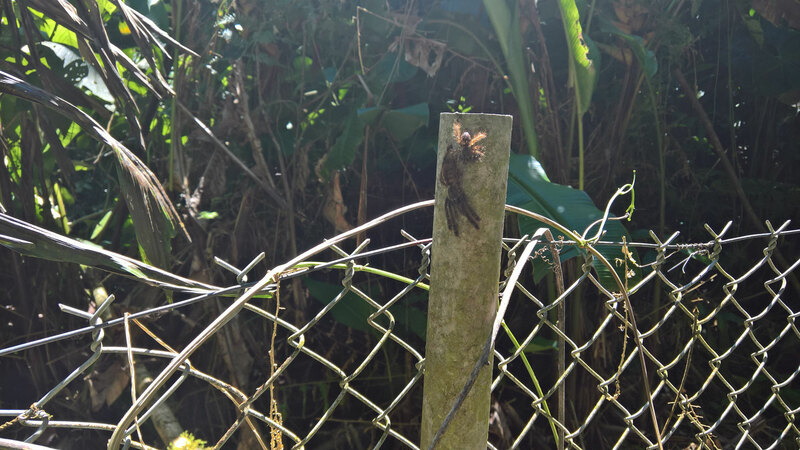 To see tarantula’s active up close, catch a surprised tree snake, learn how to extract a hallucinogen from a toad and hear more about poisons and its uses, was very interesting. After 45 min we had enough, but our enthusiastic guide dragged us on for 1.5 hr more. Lem really, really wanted to experience an ayahuaska ceremony and here was the opportunity. The hotel offered these ceremonies, performed by a shaman. None of us, except Lem, were interested in this. But when I meditated about it, I felt I should do it anyway. I have had lots of clients who had used ayahuaska and even though they had good stories about it, I always felt a repulsion toward it. So I was quite surprised this came out of meditation. The idea was, that Lem and I would do this ceremony on Saturday night. The only other activity on that Saturday would be, to visit a native tribe and look at a museum. So we took it easy on Saturday, to recover from the day before. Lem and I were not allowed to eat meat and dairy at breakfast. And lunch would consist only of clear soup for us. This in preparation for the ceremony (to have less in your stomach to vomit out, I suppose). 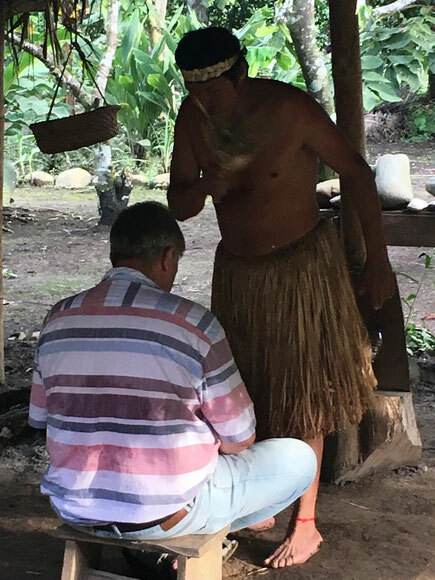 The ‘museum’ was actually an outdoor experience, where the shaman showed us the workings of all kinds of traps to catch animals, medicinal plants and its tastes and feels, shooting arrows with a blowpipe and did a healing on Eric and Beer. After this, everyone except Lem and me went back to the hotel. 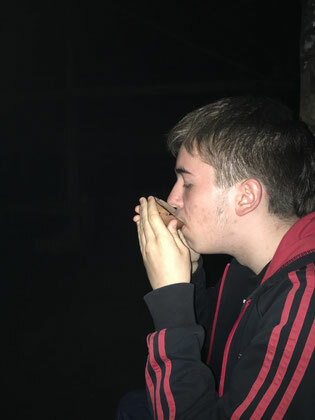 For the Ayahuaska ceremony, it had to be dark. So Lem and I waited patiently for an hour, while the Ayahuaska was prepared and the dark had set in. It was a full moon, so it did not get really dark. I had no idea what to expect and the shaman entertained us with some small talk in Spanish, to put us at ease. He offered the Ayahuaska in a clay cup. It was a slightly bitter tasting concoction that we had to empty in one go. He gave us a sip of a very strong alcohol after. And then we were supposed to relax and wait for it to work. It would take about 45 min, he said. I lost all track of time. I passed the time meditating. It seemed like days went by. I felt the workings of the drug quite quickly. It felt like it made meditating easier. My mind ‘opened up’ more. Sometimes my consciousness seemed to expand towards the space way above my head and I lost track of all feeling in my body and the next moment it came down again into my body. After 45 min (or 2 nights?) he asked if I was feeling the effects. I felt it to be quite light still, so he offered another amount. Lem actually had not felt anything yet, he said. So he had gotten quite bored. After the second amount, the feeling of going up and out and back in became stronger. My head seemed to be huge. I got some insights about small questions I had had in the days before. The question about why I was stung so much by those midgets for instance. The answer was that they helped me clear a skin parasite infection that my body would not fight off otherwise. Another question I had, was about why I felt no clear connection with the land, while I could see how almost every Ecuadorian seemed to be really rooted and connected to the earth here. The answer was that I was already one with the earth, so there was nothing ‘extra’ that needed to happen. The choice of where to settle was a matter of ‘will’, not of connection. Suddenly the shaman urged us to start walking. He took us to the river and talked about bad spirits and energies. I did not feel any connection to what he was saying. He was constantly chasing bad spirits off, making lots of noises, but whatever… At some point I had to vomit enormously. I could feel that my body did not want the stuff anymore. A small amount had been ok, but this was too much. About 15 min after me, Lem started vomiting. He said he thought he 'felt something now'. By the time we were done vomiting, I felt really clear in my head and felt the drug was wearing off a lot. The shaman offered a third portion, but I decided I had enough (so did Lem), so he ended the ceremony with a healing (where he ‘hit’ us on the head a lot of times with some plant, and blew cigarette smoke and alcohol all over our heads?!) and helped us walk back to the road where we would be picked up. During that walk back, Lem started becoming very unstable and stoned. He claimed to see lights everywhere and a sort of a blue ‘stream’ of energy that made up reality. He was looking around as if everything was different suddenly; in awe and wonder. It was funny to see. I did not have any more revelations or effects (except for being very tired and easily nauseated the day after). 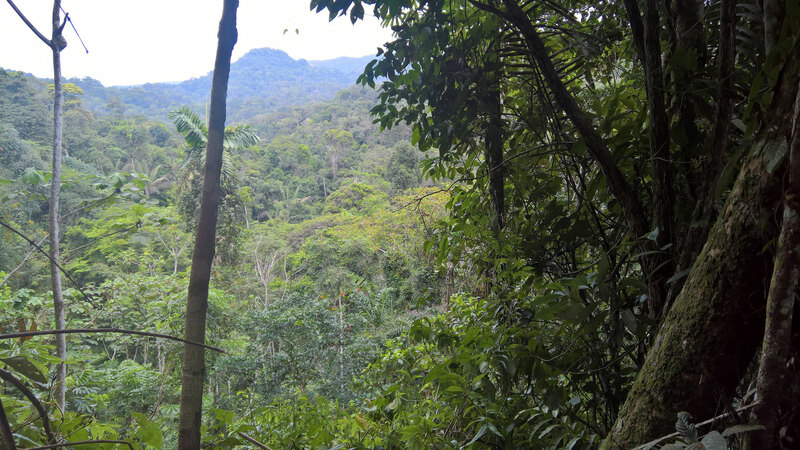 On Sunday, the day after the ceremony, we did a jungle walk. Me and Lem really had to drag ourselves through this. The guide saw this, so he shortened it a bit for us. 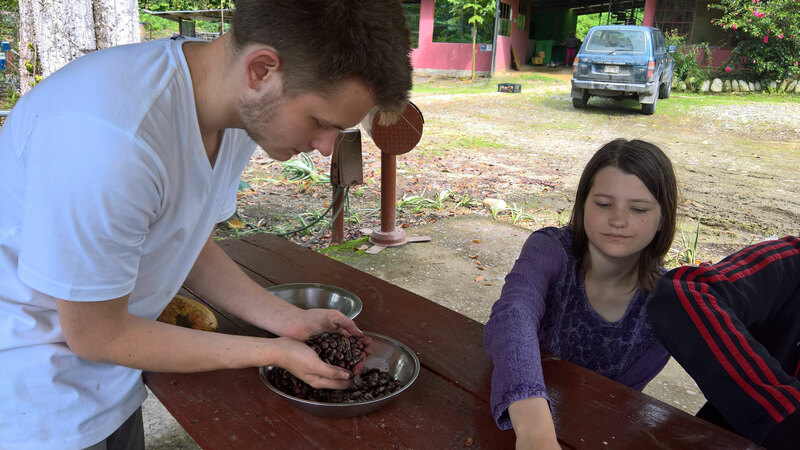 The week in the Amazone ended with a cacao making experience. 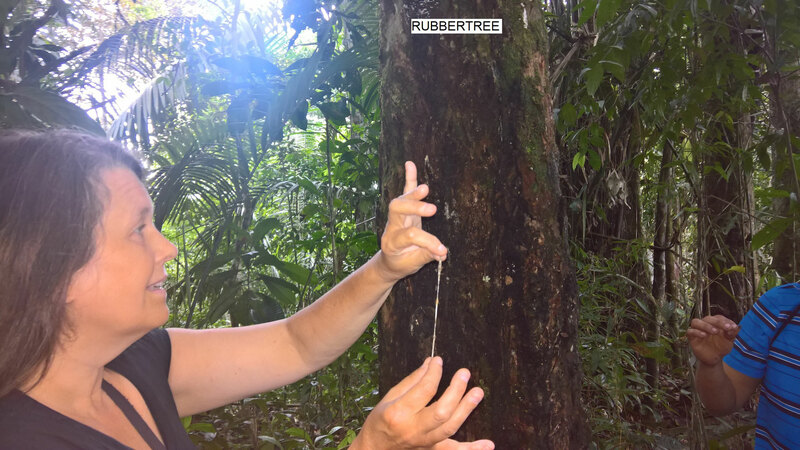 We were shown from pod growing on tree, to cacao powder, how the process was done. After this we ate it as a cacao ‘fondue’, deliciously, with banana and pineapple pieces to dip in it. 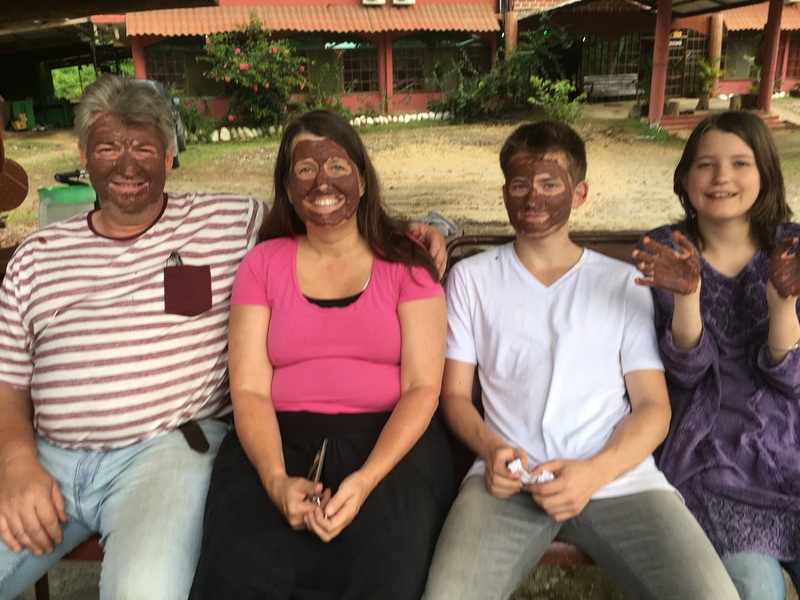 The guide also made a mixture of aloe vera and cacao, to put on our faces as a facemask (Lem quickly disappeared...). It was a very good end to a very intensive week. Looking back, the Amazone opened my heart. I will so very much miss the nature and the sounds. The sounds were amazing. The day sounds, the night sounds. I would be so happy and content, just lying in bed and listening to the sounds. During the Ayahuaska I actually realized I AM already connected to everything (rather: I am already all the land, all the earth) so I don’t need to focus on feeling connected to the land. So, since I will not ‘feel’ where we should live and don’t have a desire to live anywhere specific, I’ll leave it to Eric. And he finds it too hot, wet and humid here to live comfortably. The short moments where he finds the temperature and humidity actually quite comfortable, do not weigh up to the other moments. Despite the fact that he is also enchanted by the beauty of this area. So: No. The jungle is most likely not going to be the area we will settle in. Thanks! 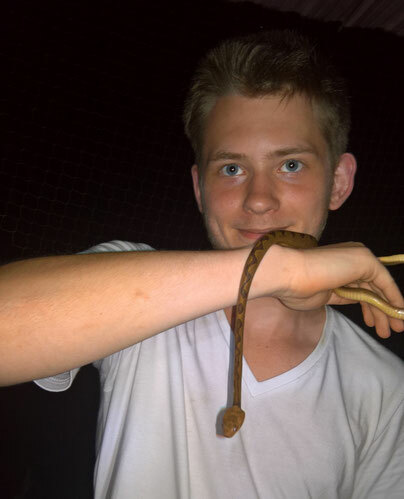 I think ayahuaska is a different experience for everyone; very personal. I was really happy to land back into 'my normal' reality after. People asked if I was happy I did it. I would say: yes, in the way that I know what it is to me, now. But that's all. Nice to read your experiences. I thought I would not read anything from you for quite a period, so it's a pleasant surprise. And it was nice to hear your laughter, although I can hear it in my head whenever I want to. Wish you all the best.